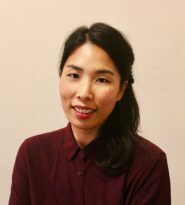 Jeeyon Janet Kim is the Senior Researcher for Resilience at Mercy Corps, where she leads research related to resilience in fragile contexts. Her recent research focuses on migration and linkages between resilience and women’s empowerment, social connectedness, and food security. At the Feinstein International Center, Jeeyon works closely with Daniel Maxwell and others on a number of projects, including: Promoting Agriculture, Health, and Alternative Livelihoods initiative in Nepal, The Constraints and Complexities of Information and Analysis project, and Food Security and Resilience in Somalia. Jeeyon holds a Hon.B.Sc. from University of Toronto, a M.S.P.H. from Johns Hopkins School of Public Health, and a Ph.D. from the Friedman School of Nutrition Science and Policy at Tufts University. Dan Maxwell, Nisar Majid, Guhad Adan, Khalif Abdirahman, and Janet Kim published their article “Facing famine: Somali experiences in the famine of 2011” in Food Policy journal December 2016 issue…. This USAID-funded five-year project (2014-2019) aims to improve food security, resilience, and livelihoods for poor and marginalized communities in select areas of rural Nepal.